Out now on Lion Music (as featured on the old V1 site in 2010). Returning after an absence of close to 10 years are the American rockers Mastermind. Led by brother guitarist/vocalists Bill and drummer Rich Berends the band have built up an impressive back catalogue before seemingly disappearing from the scene after 2000’s “Angels of the Apocalypse” which saw release on Inside Out. Now the band are back after an self released ep in 2005 with their seventh full length album in “Insomnia” released on Lion Music on Feb 19th. Long time band cohort/guest Jens Johansson (Stratovarius/Malmsteen) provides keyboard solos whilst the album marks the album debut for vocalist Tracy MacShane, a female vocalist with a great ballsy voice. Often labelled as prog rock band the band exhume some prog rock sensibilities on ‘Insomnia’ but mostly this is hard rock covering a wide gamut of styles that fall under the rock banner, all well played written and aided by a nice warm production. Opener “Desire” sets the ball rolling in fine style, pretty straightforward in style and intent but home to a catchy melody and a thunderous bottom end. “Break Me Down” is more left field, darker, slower, moodier and not without some stoner properties. The riffs are slow, doomy and satisfying, however the band travels into a glorious more up-tempo solo section where Bill gives his vintage Gibson a nice workout with his fluid, liquidy warm tone and the orchestration builds beneath before working its way back to the chorus. “One More Night” sees a nice airy acoustic vibe enter with Bill giving us a lead vocal before the track builds for the chorus. The solo sees Bill build layers of guitar in a more textural way than a typical solo before the dual vocals harmonise nicely. “Meltdown” seems to exhume some dark Seattle alternative flavour and its dark vibe pictures a visual nightmare of sorts. McShane uses her voice in a variety of ways here showing her versatility, the track’s icing comes in the guise of a superbly dirty toned solo from Johansson acting like a red rag to Berend’s bull guitar – very nice. “Piggy World” is home to an aggressive spiteful vocal delivery from McShane, which despite its aggressive verses finds some melodic resolve for the chorus. The track does feel a little out of place to the rest of the album but is still likeable enough. “No Answer” is much more laid back, almost introspective in its approach with a great melancholic feel whilst the heavy riffs and more classic melodies return for “Broken” which has a nice exotic feel to it. Being home to an almost trance inducing chant line refrain, the track marks McShane’s finest vocal performance on the album along with another fluid solo from Berends, arguably the most accessible track on offer. “Night Flier” will appease all 70’s prog enthusiasts with its instrumental format and fusion/jazz feel. Berend’s guitar takes off in a big way here and again Jens Johansson helps build more tension with his keyboard solos. “Nietzsche” comes across as a fusion of Pink Floyd but with a darker, more troubled vibe. Largely thanks to the machine like vibe of the throbbing bass and drums which lead way to more layering from the guitars whilst Johansson’s keyboard tone here send shivers down my spine – tantalisingly scared but warm at the same time, the track finds a nice resolve at its conclusion leaving my nerves calmed somewhat. “Last Cigarette” closes the album in more dark style, with a variety of parts laid across its slowish tempo yet is a nice finisher. 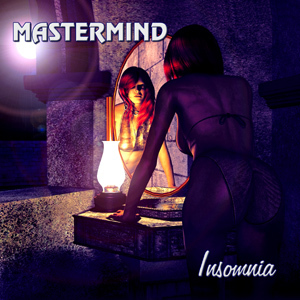 With “Insomnia” Mastermind have produced a very solid seventh album with a sound that is unique to the band, yet at the same time classic in its approach. Sonically the band have their own sound happening with the warm production, kudos go to Bill and Rick Berends for producing such a warm and individual sounding album (and McShane for a great vocal performance), which took me back to the days when sound production helped shape an albums character. “Insomnia” is such an album with its own character, its a dark album in a lyrical sense, heck even the album title hints at this and you wonder if the band have slept for the last decade? Perhaps now the album is done they can rest easy in the knowledge they have produced a very enjoyable, individual and skilful release in “Insomnia”. Readers wanting an original slice of rock music that will reward further with each listen check out the album now. This entry was posted in Reviews and tagged Bill Berends, Insomnia, Jens Johansson, Mastermind, review, Rich Berends, Tracy McShane. Bookmark the permalink. 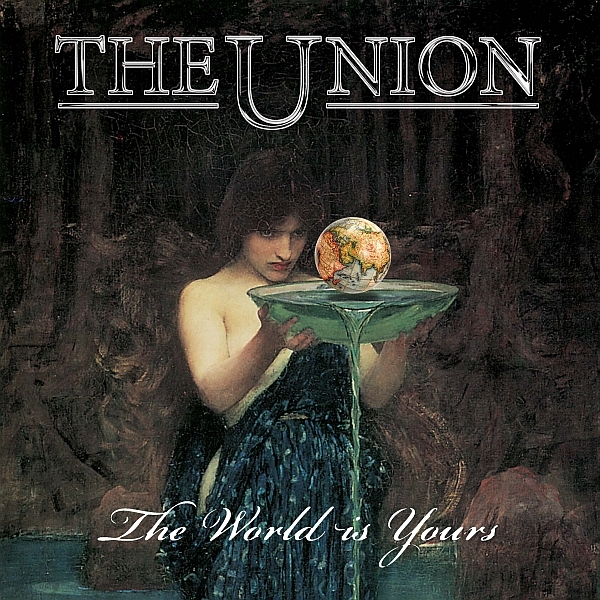 The World Is Yours marks the third release from The Union, a band based around guitarist Luke Morley (Thunder) and vocalist Peter Shoulder (Winterville). As a massive Thunder fan I must admit I’ve always wanted to like this band, and whilst the songs have by no means been duffers I’ve always had a hard time truly getting into them. That said I went into listening to this record with positive hopes and fortunately I have been rewarded. Trying not to think of Thunder is probably the best way to approach this, and whilst Morley’s trademark song craft and guitar work is always going to offer up nods to his past, (“What Doesn’t Kill You” and “This Is A London Song” especially) The World Is Your certainly sees this listener hearing a future for an outfit now forging their own sound. Granted Morley’s influences often permeate through certain riffs and melodies, for example the delightful Zeppelin style acoustic/electric title track and the classic Tom Petty airy breeze of “Tonight I’m Alive” may not show a individual style but these are still good songs pure and simple. Elsewhere t the likes of “You’re My Jesus”, “The Perfect Crime”, “Tangled Up In You” and the acoustic lull of “Lost To The Wind” are very good modern classic rock. Essentially this is about good songs, no excess instrument flash but mature writing with a clear idea of direction. And it certainly packs a bigger bang than Thunder’s last effort. Overall, the difficult third album proves no stumbling block and I look forward to album number. Fans of classic rock check it out. This entry was posted in Reviews and tagged Luke Morley, Peter Shoulder, review, The Union, The World Is Yours, Thunder. Bookmark the permalink. Its not everyday a Japanese band gets picked up by a label outside their native country, yet Lion Music have seen fit to offer Early Cross exposure outside their homeland, and it’s a good find too. Marketed as proto-prog this is metal with some progressive elements, yet also a more ethereal sound with calm and tranquil moments. Opener “Ashes & Yarrow” is a good indicator of the cross section of moods heard, yet the band rock hard on “Cry Havoc” which is a delightfully punchy number and one where the impressive guitar work of Hiroaki Kato fuses well with the lead vocals of Natasha Vaichuk, whose delicate voice makes a welcome change from all the Tarja wannabes that plague metal these days. This is by no-means immediate stuff, but given a chance to soak in has a very charming presence about it, yet one you will need to be in the right mood to listen to from start to finish. 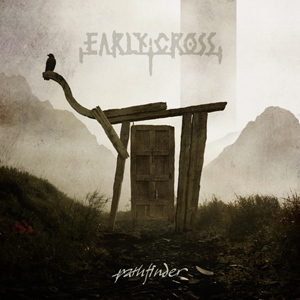 As it stands “pathfinder” is a solid opening statement from Early Cross and suggests a good future ahead. Nice artwork and strong production too. This entry was posted in Reviews and tagged Early Cross, Lion Music, Pathfinder, review. Bookmark the permalink. Fourth album from Spain’s leading melodic hard rock outfit. “Changes” sees the band consolidate their sound which is built around the flamboyant guitar work of Robert Rodrigo and the voice of Iñaki Lazcano. Better than their previous effort “Fight”, “Changes” shows a return of more melody over grit yet retains somewhat of the more punchy production of its predecessor yet to these ears falls short when pitched against the bands rather excellent second album “2nd Round”. However, if you favor your rock spirited with AOR style big melodies and choruses Airless serve up one of the more original takes on the genre. Stellar work and a nice addition to the bands catalogue but not one that is essential in the melodic hard rock genre. 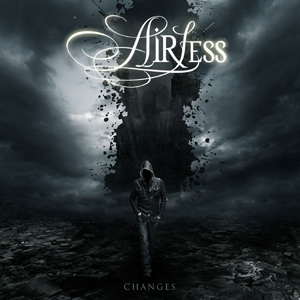 This entry was posted in Reviews and tagged Airless, changes, review. Bookmark the permalink. The WET debut was a highlight. Rarely do record company sponsored “all star” projects live up to expectations. WET transcended them with a killer album. Can they maintain the quality on their sophomore effort? Well… yes and no. Sure, the production and performances are beyond reproach once again. And there’s some killer songs present, like big ballad “Still Believe In Us”. But it also feels less fresh. Less spontaneous? A song like “Still Unbroken” is cliched filler. Maybe it’s because this time around there’s no surprise. Maybe it’s me being grumpy. In either case, I’m not as bowled over as I was in 2009. Don’t get me wrong, this is a good melodic hard rock/AOR album by anyone’s standards. But after the debut, I guess I expected more. 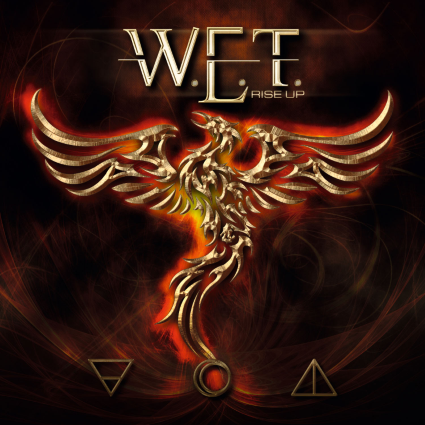 This entry was posted in Reviews and tagged Frontiers Records, Jeff Scott Soto, review, rise up, W.E.T, wet. Bookmark the permalink. 45 years into his career, UFO and sometime MSG keyboardist Paul Raymond doesn’t seem to be thinking about retiring just yet. Following last year’s rather good Seven Deadly album with main employer UFO, he now presents us with the latest offering of his own band. The first thing you’ll notice is the low budget production. The rhythm guitar sound is crap, the drum sound isn’t much better, the vocals lie on top of the mix… There’s plenty of room for improvement. The song material is of a higher caliber, fortunately, with plenty of references to UFO. Obviously Raymond is quite an integral part to that band’s sound. A track like “Deeper Shade Of Blue” wouldn’t have been out of place on a Chapman era UFO album. “Driftin’ Apart”, with its country overtones, is a very nice ballad. Some Mogg has definitely rubbed off on Raymond’s vocal stylings over the years. He lacks Mogg’s charisma though. Michael Schenker makes an appearance on Motown classic “Reach Out”. A bit more subdued than I would have liked. Not all songs are on the same level. The Queen/Rod Stewart mash up “We Will Be Strong” is a dire example of the worst this album has to offer. A decent release but far from indispensable. Review by the wild, the willing and the innocent Sancho. This entry was posted in Reviews and tagged Michael Schenker, Paul Raymond, review, terms and conditions apply, UFO. Bookmark the permalink.